We specialise in Core Banking transformation projects with domain in T24, InfoBacis, Integration Framework, Interaction Framework, TAFJ, IIB, JBase Programming, Design Studio and Java. As a Senior Technical Consultant, you will be responsible for providing technical support and expert advice at client site throughout all stages of various TEMENOS product implementation projects. The main focus will be especially on complex technical issues and to provide guidance to our banking clients on configuration of TEMENOS products and local developments. Perform the roles of Technical Solution Architect, Technical Lead, and/or Technical Consultant for the implementation of Temenos T24 Core Banking projects from analyse & design phase to post-live support. Possess the capability to play integral technical roles as part of large project teams, working with the senior management within technology and business groups, vendors and other relevant internal and external stakeholders. Take leadership of the appropriate areas of responsibility assigned. Participate in the successful development and execution of testing, data migration, integration, cutover plans and execution. Identify, define and coordinate any development activities that may occur during the implementation of TEMENOS suite of products, such as additional specific functionality, interfacing to external systems or conversion programs to be built. Install custom enhancements, validate technical setup and conduct necessary testing to ensure user acceptance and global quality of the solution delivered. Provide clear and concise technical documentations for internal and external use. Conduct client - and end user training as and when necessary. Hold a professional degree with minimum of 8 years of experience in finance and banking software consultancy. Experience of T24 Core Banking system with specialization in Private Banking domain will be highly preferred. Knowledge of standard banking processes and T24 modules like Securities, Derivatives, Structured Products and Treasury Modules will be an added advantage. Proven track record in end to end implementation and delivery of T24 Core Banking systems. Excellent logical thinking, problem solving and communication skills. Knowledge of other Temenos solutions such as Triple A’ or T-Connect will be considered as strong assets. We can provide a great opportunity for professionals to realise their full potential. Our consultants typically collaborate onsite with our clients, serving as expert client partners, empowering them for success. As the business grows, we are aware that our people are the backbone of the company and hence are dedicated to rewarding contribution, diversity, excellence and commitment. 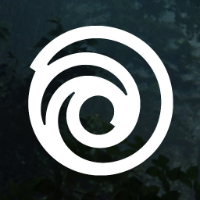 Online Programmers are key in delivering the enjoyable connected experience players have come to expect from the Ubisoft gaming experience. Online Programmers face multiple challenges in developing, integrating and maintaining high-end service platforms. They are critical in ensuring that millions of players are simultaneously immersed in a seamless and rich game experience they can enjoy with their friends regardless of where and how they connect. Update and maintain all supporting documents for accounting records. Prepare expense accruals and record entries, assist in forecasts and budgets. Perform other basic operational tasks, such as filing, data entry and paperwork. Liaise with internal finance department for statutory audit. Obtains price quotes from suppliers based, raise purchase request, generate purchase order, approve purchase request and obtain approval from internal customers. received quantity and records are accurate. Review, analyse and evaluate all vendors/suppliers, supply, and price options. Maintain and update list of suppliers and their qualifications, delivery times, and potential future development. Other accounting tasks separately assigned in addition to the above. Bachelor’s degree in business administration, accounting or related fields preferred. Be thorough, accurate, and honest with good bookkeeping skills. Proven working experience in the procurement capacity is an added advantage. Good knowledge of supplier or third party solutions. Aptitude in working with numbers. To be part of the team in design and development for robotics product system. To translate product requirements into technical design and participate in specifications writing. Involve in the end-to-end system design, implementation and integration. To define and develop test cases in specific domains based on product performance requirements. Perform code review and abide with code quality guidelines. Proficient in network programming, familiar with TCP/IP, RPC , HTTP, RTSP and other communication protocols. Strong understanding in multi-thread and multi-process programming. Good analyzing and technical solving skills. Understand contact centre operations, remote support and work with IT departments to drive, manage business requirements. Manage and prioritize system enhancements. Review current call flows and support operations for continuous improvement. Oversee the business unit team in reporting and statistic monitoring, trend analysis and resource utilization. Oversee the tracking and monitoring of system incidents, bugs, preparation of test scripts, conducting of UAT and coordinating roll out to production for all the contact centres. Manage the voice, SMS & email survey module. Review the system training materials for the team to ensure they are up to date. Work across corporate functions & other business units as the core driver to support new initiatives. Min. a Degree in Computer, Engineering or Mathematics/Statistics/Science or relevant field, working experience. Demonstrated strong oral and written communication skills (in English) in order to translate complex technical concepts to both technical and non-technical audiences. Able to motivate the team to excel / perform and at the same time be a team player. we create the infocomms landscape of the future. The IT Analyst is to gather, analyse and formalise user’s business requirements and processes, evaluate on feasibility of implementation and assist Project Manager to plan and manage work assignments for the team, specifically on extensive user requirement study, system testing and conduct training. He/She is required to front customers and interact with delivery team or cross IT domains. Must have strong consulting skills, good communication skills and understand Agile methodology. To study and analyze user requirements, so as to prepare detailed functional specifications and related documents by engaging internal stakeholder to meet the project timeline. To work closely with ODC team to deliver system according to specification as well as track the tasks assigned to the team in meeting project schedule, quality and within project budget. To perform extensive application testing including functional and interfaces, etc from test strategy, test planning, design, execution and management of test program and problem resolution. To support user acceptance testing such as problem resolution, tracking, escalation and closure. To execute implementation activities and support post implementation. We’re looking for a dynamic and experienced, senior communication and change management professional to join Singtel in a regional role, covering Singapore and Australia. The role is within Group IT.You’ll be joining a team whose role it is to communicate and help people connect the dots: to show them how what we’re doing in Group IT supports business strategy and our ambition to create game-changing experiences for our customers and our people.It’s also about keeping people updated on our progress, encouraging them to provide feedback and feel inspired by what we’re doing. We’re after a specialist who has a strategic approach, who can plan for and develop creative communications and take the lead on change management activities that best position Group IT, its business and its brand with key internal and external stakeholders across the region. You’ll need to be creative and comfortable coming up with ideas for articles we can feature on Singtel and Optus channels that showcase our people and the technology we deliver, including our internal channels and external channels like LinkedIn. You’ll need to be able to influence senior leaders, including our IT SLT and middle managers, think on your feet, present clear and effective messages, and be willing to step up and manage some tough issues when they arise.Being able to manage multiple priorities and competing demands is a must! It’s an exciting time to be part of Group IT. There are big changes happening across the business as we rollout some big strategic programs that transform the way that we do business and the way that our people work. Provide support to your team mates. It’s a pretty fast-paced place with lots happening, so we’re looking for someone who’s up for a challenge and is passionate about communications and change management. You’ll need a can-do attitude, lots of flexibility, resilience and a healthy dose of optimism. You’ll also need to be a good thinker, calm under pressure, and understand how big corporates work. Develop communication and change management plans that support the big picture strategy. Work with stakeholders to obtain buy-in. Review plans to identify how we can make things better next time. Project manage and implement communication campaigns and change management plans. Develop messaging for multiple channels – video, email, intranet, LinkedIn, posters, etc. Work with our internal agency and training teams to design and develop content for various channels. Work with stakeholders to implement plans. Make sure we’re on brand in all our communications. This means all our communications should demonstrate how the initiative supports Group IT’s mission and business strategy. Work closely with internal communications teams from the business, training teams, and other stakeholders to ensure buy-in and get signoff on plans and copy. Develop relationships across the region with key stakeholders, including the Group IT SLT and our middle managers. Help them to understand how what we’re doing in Group IT fits in with business strategy and ambitions. Be a great team player by helping out the team. Share ideas and knowledge with the team. Coaching the team on effective communication methods and delivery. Take ownership of problems that come your way and won’t rest until you find a resolution. Take promises seriously and stay true to your word. Strive to do the right thing every day. Always willing to get involved, lend an ear and provide support. Our new technology stack focusses on Spring Boot deployed on AWS and React / React Native on the client side. We aim to automate repetitive actions where possible. In the infra-side, we let AWS do the heavy-lifting for us so we can focus on delivering business value. We need your help to onboard more applications on to the same stack! DT requires strong engineers for the Build-Run teams across grades. For day-to-day work, engineers are positioned inside the multi-disciplinary teams and work to achieve business goals. In addition, engineers are part of the development practice, specialized in areas like Java, Front-end, AEM, DevOps and in future perhaps others.